As I’ve covered previously, the Obama administration has acquired a reputation for wrongly prosecuting Republican officials and personalities by the use of vaguely worded ethics laws. Harvey Silverglate, a criminal defense attorney and the author of Three Felonies a Day: How the Feds Target the Innocent, exposed how the average American commits three felonies a day due to the massive amounts of vague laws now on the books. If the feds want to get you, it’s easy. After years of this abuse, however, the pendulum is finally swinging back. It began when the U.S. Supreme Court unanimously exonerated former Virginia Governor Bob McDonnell in June from convictions for allegedly violating vague ethics laws. Prosecutors wised up and dropped their plans to refile new charges against him. During the proceedings, Mazzant observed that SEC prosecutors were trying to fit a “square peg into a round hole.” Every court that previously looked at the issue had rejected the SEC’s argument. There are still similar state criminal charges pending against Paxton, but considering the burden to convict criminally is much higher than civilly, it is highly unlikely the charges will be successful. In July 2015, a grand jury indicted Paxton on three counts of felony securities fraud, including failing to register as a financial agent with the state securities commission. If convicted, he faces a minimum of five years in prison. 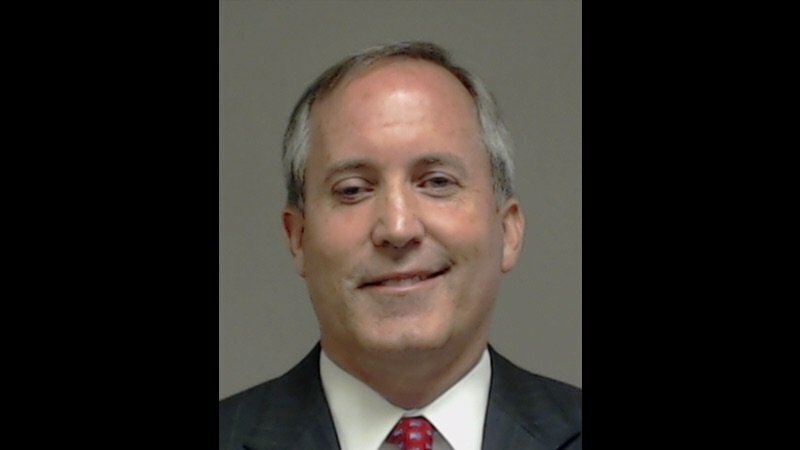 Paxton has requested an appeal with the Texas Court of Criminal Appeals. Three months prior to the 2014 election, the left-wing organization Texans for Public Justice urged the Travis County DA to investigate Paxton. Breitbart observed, “The Public Integrity Unit of the Travis County District Attorney’s Office has been the source of criticism by Republicans who say the unit has been used to further partisan motivated criminal indictments.” They include three prominent Republicans: former Governor Rick Perry, former Senator Kay Bailey Hutchison and former House Majority Leader Tom DeLay. Texans for Public Justice previously requested investigations of both Perry and DeLay. Moderate, establishment Republicans are also behind the state criminal charges, According to Breitbart, Texas State Representative Bryon Cook is one of the complainants. He is a chief lieutenant for Texas House Speaker Joe Straus, who Paxton ran against for speaker in 2011. Paxton’s attorneys contend that the Collin County grand jury which indicted him was improperly impaneled, and that one of the state laws is unconstitutional and trumped by similar federal law. As Silverglate writes in his book, some violations of law should be civil offenses, not crimes punishable by prison sentences. Failing to register with the state securities board — especially considered Paxton’s only action was merely encouraging friends to invest in the company — should not be a felony. It doesn’t even pass the laugh test. Contrast it with the penalty for the unauthorized practice in law in Texas, aka failing to register as an attorney with the state bar. If intended to obtain an economic benefit, it is punishable as a misdemeanor — which almost never results in incarceration. Critics point out that Paxton voted in 2003 to increase the penalty for failing to register with the securities commission, when he was a freshman representative in the Texas House. Sadly, as many law-and-order conservatives like Paxton are finding out, the laws can be manipulated by the left to target them. Paxton reasonably believed his mere encouragement of friends to invest in Servergy did not trigger this requirement; he was not an “investment adviser representative” as defined by the statute. The left knows that if they can drag out the legal proceedings for years, it won’t matter if Paxton is ultimately exonerated. The bad press from the left-leaning media, combined with destroying Paxton’s finances, will leave him crippled as a candidate for higher office. The Texas media is known for its strong left-wing bias, and has churned out probably hundreds of accusatory articles against Paxton. He has been forced to raise $330,000 for his legal defense. As with previous Republican targets, the left selects the ones who have the most potential. They successfully got former Congressman Rick Renzi wrongfully put in prison and conservative commentator and filmmaker Dinesh D’Souza sentenced to a halfway house for a minor election violation. The charismatic Paxton has a virtually impeccable record, and is a favorite of the Tea Party and Christian conservatives, able to defeat the powerful Republican moderates who control much of Texas politics. The next logical office for him to hold would be governor of Texas, which puts him in an excellent position to run for president. Fortunately, one of the two independent prosecutors assigned to prosecute Paxton is Brian Wice, who represented DeLay in a similar political witch hunt. Although Wice has publicly stated the two cases are not similar, it seems unlikely he would continue to press the same type of laws used so unfairly against his own client. Also, Travis County declined to prosecute the case, since Paxton lives in Collins County, so perhaps Paxton’s appeal from the indictment in Collins County will result in a fair outcome.